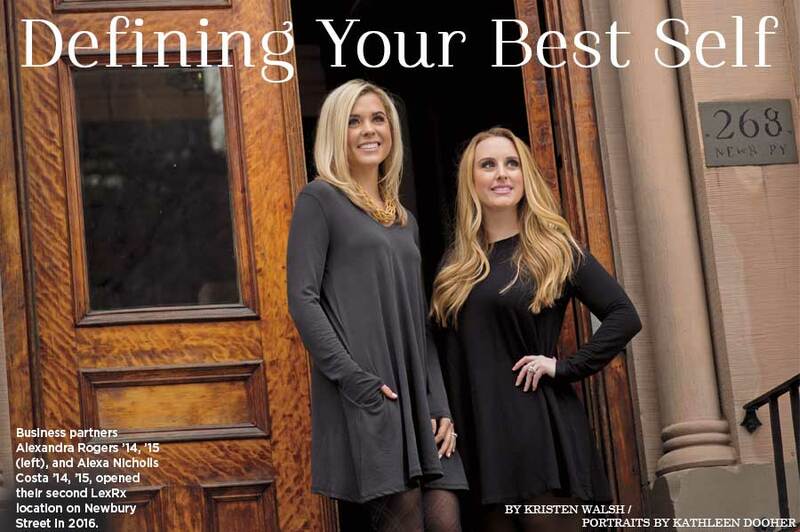 Business partners Alexandra Rogers ’14, ’15 (left), and Alexa Nicholls Costa ’14, ’15, opened their second LexRx location on Newbury Street in 2016. 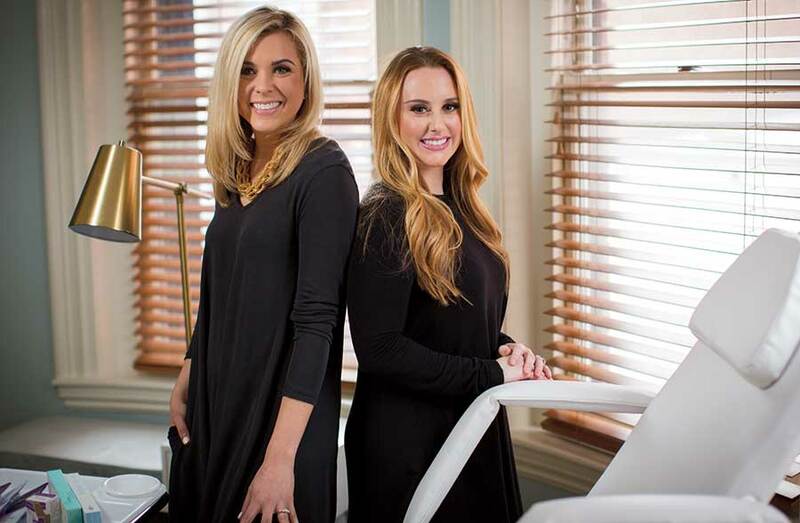 Their business, LexRx, is a boutique practice with a focus on minimally invasive cosmetic procedures with a conservative approach. It brings together many commonalities of the two alumnae (beyond their names). 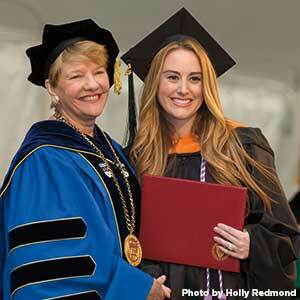 They both graduated from Regis’ accelerated BSN/MSN nursing program. They are committed to bringing passion, intelligence, and creativity to the ever-changing field of medicine. And they want to empower men and women by helping them look good and feel good. “Our practice is approachable and has truly taken a stance in the industry by reducing stigmas and shame that were once associated with procedures such as Botox and dermal fillers,” says Costa. “Quality” includes a consultation prior to treatment to review medical history, allergies, contraindications, risks, benefits, and realistic outcome goals. This is where the alumnae’s education and medical background come in. Costa received an undergraduate degree in pre-medicine/health science from Boston University and Rogers received an undergraduate degree in biostatistics from Emmanuel College. Rogers’ professional experience includes adult and pediatric urgent care at Harvard Vanguard Medical Associates in Boston. She currently works full time as an urgent care nurse practitioner in Natick, Massachusetts. In these roles, she has gained immense clinical knowledge and exposure to many complex medical problems. Costa worked at Massachusetts General Hospital (MGH) in the Plastic Surgery Research Laboratory alongside the division chief. She also trained with Heather Parker Bouchard ’05, lead nurse practitioner in the MGH Plastic Surgery Clinic, and was selected as a fellow in the prestigious emergency medicine fellowship program (EMPED) through Brown Medical School, working as a nurse practitioner in the emergency departments at Rhode Island Hospital, Hasbro Children’s Hospital, and The Miriam Hospital. She now works full time in the MGH Emergency Department (“a lifelong dream!”). Costa (pictured above with President Hays) received the Master’s of Nursing Excellence Award at Regis—an honor presented to one candidate each year. The women agree that to be the best in the industry, a strong academic background and hands-on experience is vital. Costa incorporated her skills and knowledge base from working in both research and clinical settings at MGH to initiate core LexRx principles, while Rogers has utilized her aptitude, creativity, academics, and experience. Costa and Rogers met during their first semester at Regis and grew close during one of their first nursing clinicals on a surgical unit at the Veteran’s Administration Hospital in the Boston neighborhood of West Roxbury. “We quickly bonded over the crazy student-nurse life and, of course, our names,” Costa recalls. The two worked together for a private-duty nursing company (Boston NAPS), and eventually went on to launch the first Graduate Student Government at Regis—Costa as president and Rogers as vice president. After the experience, they realized how well they worked together—and how much they enjoyed it. In addition to core nursing classes, Rogers and Costa were engaged in management and practice development courses at Regis that provided them with the background and guidance necessary to launch a successful business. Having had experience with aesthetic practice through her work in plastic surgery at MGH, Costa knew that there was an opportunity for a niche practice in the field. She identified a small but profitable segment of the plastics/dermatology specialty and was passionate about injectable procedures. Costa and Rogers are equal owners of the company and perform all of the injections. When they first launched at their original location in August 2015 in Lynnfield, Massachusetts, they hired a business adviser to help lead the marketing vision and communication strategy. Business took off, with clients traveling from Boston and points south, including Cape Cod and Rhode Island. The team grew with the addition of a creative director and a publicist, and LexRx made headlines in publications such as Boston Magazine, Cosmetic Surgery Times, InStyle, Prevention, and Women’s Health. A little more than a year later, they opened a second location on Newbury Street in Boston. LexRx became a family affair when their husbands offered their areas of expertise and consulting into the business model. Costa’s husband, Gregory, is a certified public accountant and “master of strategic growth for businesses.” Rogers’ husband, Jay, a licensed financial business consultant, has been a mentor by encouraging the women to “think outside the box” and remain motivated. Costa also circles back to Bouchard, who taught her about advanced suture techniques, breast health, and how to “perfect the art of injectables.” Bouchard’s guidance and insight on her career as a nurse practitioner ultimately drove Costa’s decision to apply to Regis. On Newbury Street, LexRx sits among high-end designer clothing stores, art galleries, hair salons, and medical spas. Standing out, however, is not a concern. And back to self-confidence: Costa and Rogers agree that it takes time to build.